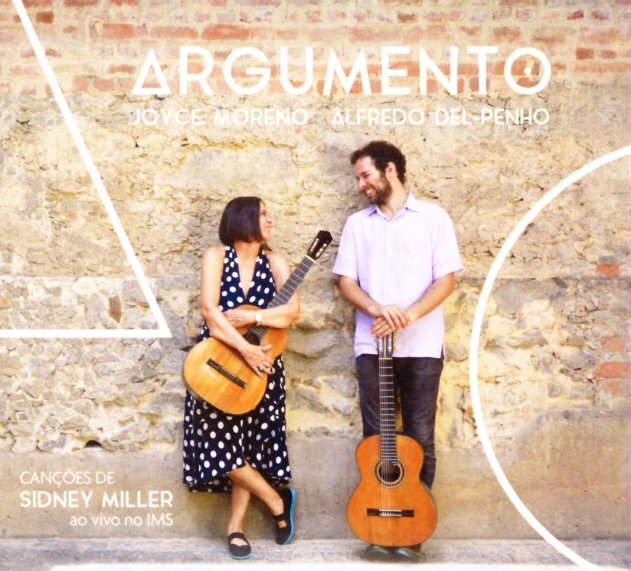 A really lovely collaboration between the legendary Joyce and the younger Alfredo Del Penho – working together in a live setting as the expand nicely on the songs of Brazilian composer Sidney Miller – a talent from the pre and early bossa years, whose music sounds surprisingly fresh in this setting! Both artists play acoustic guitar, trading lines of rhythm and melody back and forth in a great way – and both artists sing, too, with some especially nice moments from Joyce. Titles include "Marre De Cy", "Maria Joana", "Argumento", "Chorinho Do Retrato", "O Circo", "Meu Violao", "E Isso Ai", "O Navegante", and "Pede Passagem". © 1996-2019, Dusty Groove, Inc.